Eight years ago, Council held a strategic planning session during which a SWOT Analysis of Witless Bay was conducted. Below is a transcript of this analysis, that was adapted according to our current reality and the feedback from the Community Enhancement Committee’s brainstorming sessions. What else should be included as a strength, weakness, opportunity or threat? Email me (sebastiend@mun.ca) or send me a message via Facebook (https://www.facebook.com/sebastiendespres.page) to share your ideas! What gives Witless Bay an advantage? What gives Witless Bay a disadvantage? What elements could Witless Bay exploit to its advantage? What elements could cause trouble? Influence exerted by larger centres could run counter to the Town’s interests. A SWOT analysis involves specifying the objectives of a project and identifying the internal and external factors that are favorable and unfavorable to achieving that objective. 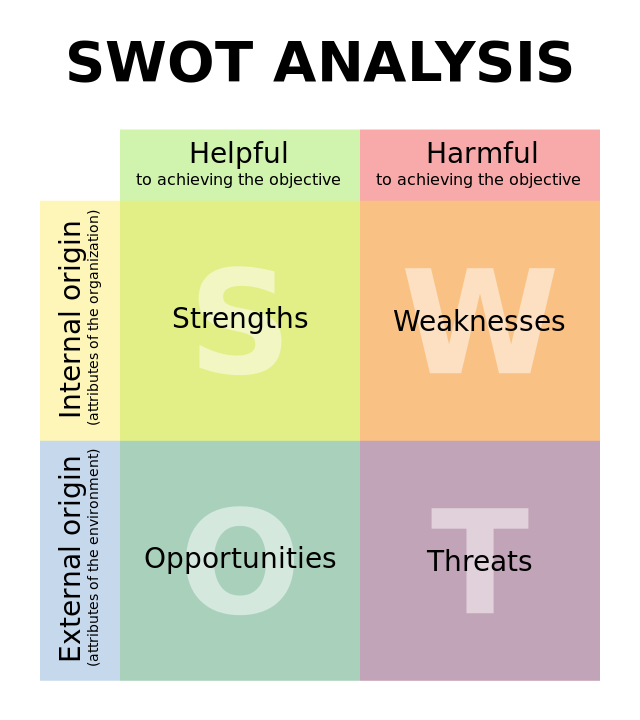 One way of utilizing SWOT is matching the strengths to opportunities, and convert weaknesses or threats into strengths or opportunities. If the threats or weaknesses can’t be converted, the town could act to minimize or avoid them.